Having watched them down from Lindwall and Miller, Ramadhin and Valentine, Tyson, Trueman and Statham, Bedi and Chandrasekhar (now that was a glorious spectacle), Lillee and Thomson, Roberts and Holding, Waqar and Wasim, Warne and anybody, choosing the finest of all is a brain-stretching task. Other pairs rise from the mists of time. The first fast bowlers to mow down opponents in tandem were Jack Gregory and Ted McDonald of Australia in the 1920s. Further back, there could be no greater test for opening batsmen than when England's mighty fast man Tom Richardson was coupled with the clever slow left-armer Bobby Peel: raw pace at one end and slow cunning at the other. My choice, though, is an Ashes-winning pair from 1911-12: Sydney Barnes, frequently nominated as the greatest of all bowlers, and Frank Foster, the Warwickshire left-arm fast bowler. Against a strong and settled Australian batting line-up - Trumper, Bardsley, Hill, Armstrong, Kelleway, Ransford and Minnett - Barnes and Foster took 34 and 32 wickets, carrying England to a 4-1 series victory. Sixty-six wickets in a five-Test series; then another 52 (Barnes 39, Foster 13) in the Triangular Tests in England. The tall, gaunt-faced Syd Barnes was an uncompromising man who seldom laughed. He spun the ball at a brisk medium-fast. I met him when he was 93 years old, still upright, still formidable, apparently humourless in conversation, and determined to get his point across: that he didn't cut the ball, dammit: he spun it! And with his long, bony fingers he demonstrated his point. Barnes' figures are astounding. In his final Test series, in South Africa in 1913-14, he took 49 wickets (at 10.93) in four Tests - and then walked away in a huff before the fifth, having failed, for once, to get his way over expenses. His 17 wickets in the second Test of that series, at the Old Wanderers ground, placed him at the top of the table until Jim Laker's 19 four decades later. And at the first of two Melbourne Tests in that 1911-12 Ashes, he scooped up five wickets for six runs off 11 overs on the first morning. He had been far from well the night before. A bottle of whisky helped. 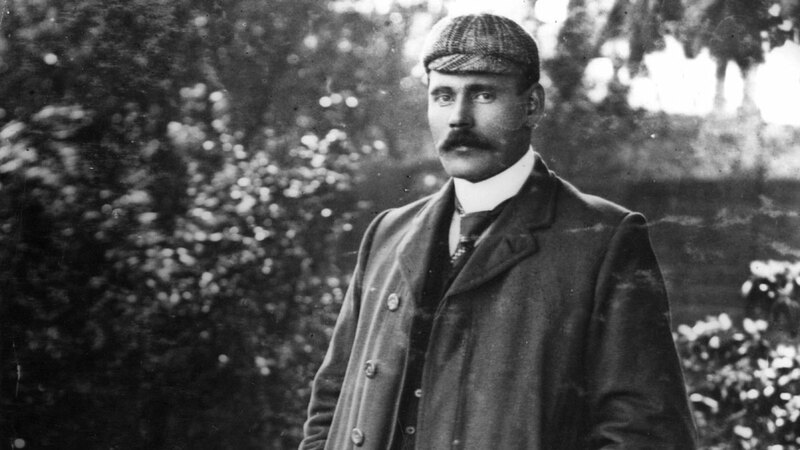 As for young Frank Foster, in 1911-12 he was fresh from leading Warwickshire to a first County Championship, and still to show signs of mental instability. He swung the ball in viciously and late, rather like Wasim Akram. Bowlers then were at a disadvantage in that if a ball pitched outside off stump it precluded the lbw. Believing that Foster was going after him physically, Victor Trumper at one point raised the matter with an umpire, who explained the geometry of it. The great batsman accepted his word. The 11 Tests Foster played with Barnes were the only Tests he played. If their 118 wickets in those 11 don't convince you, close your eyes and picture the two bowlers in action: Barnes glaring away as a fast legbreak follows a vicious offcutter; Foster veering the ball in from its off-side path to hit pad, box or stumps. What the chronicles tell of their mastery through the air and off the pitch convinces me that if there were later bowlers of equal skill, none bettered them. 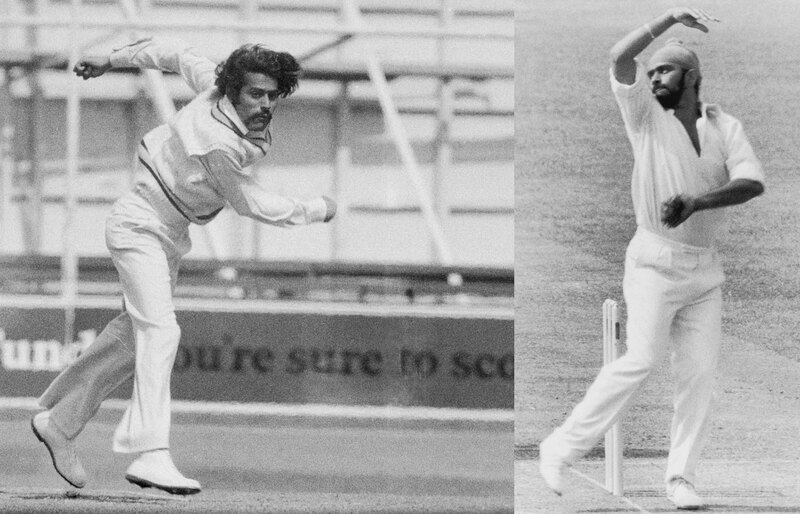 Chandrasekhar, Prasanna, Bishan Bedi and Venkataraghavan: I was fortunate to keep wicket to four of the finest spinners of all time, but a pair is a pair, and Chandra and Bishan are my pick for the best ever. I am partial to spin. When the ball is in the right hands, spin bowling is an art. To watch a batsman teased by a great spinner, to watch him rooted to the crease in fear because he cannot read the spin, at other times charge down the track but still not get to the pitch because the bowler has held it back just that much, it's like watching a game of chess but more fun. This is what it was like with Chandra and Bishan. Chandra was a unique talent. He managed to convert a huge physical defect, his withered wrist, into a great asset, and for that I had enormous respect. 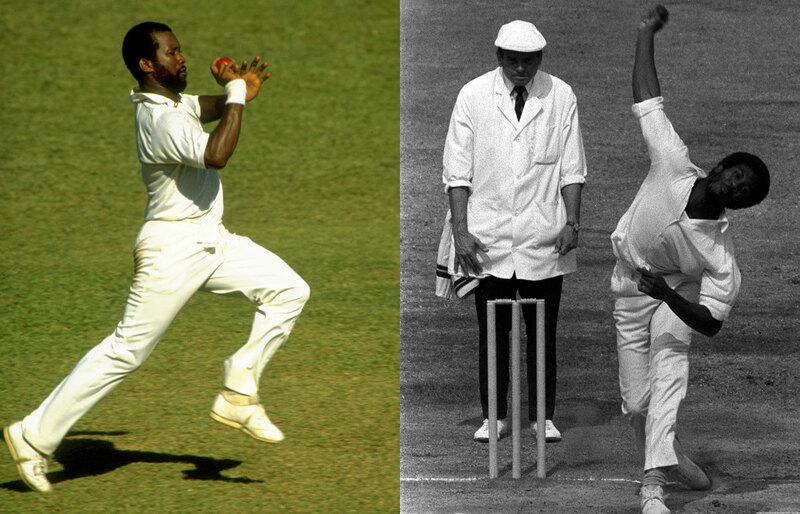 He could bowl on any pitch: a greentop or a rank turner, it did not really matter. He was the most interesting bowler I kept wicket to, because of his variations. He bowled a very good googly and an equally good topspinner, his stock ball. His legbreak was slower in the air, while his quicker one was as quick as anything sent down by Indian fast bowlers of the day. To play spin well a batsman needs to use his feet, but against Chandra that was difficult. Batsmen found it hard to pick him. At Eden Gardens in 1972, Alan Knott was stumped. Knotty later told me he would have sworn it was a legbreak, but it was a googly: Chandra had turned his wrist just a little more. That was the beauty of Chandra. He could be so deceptive. That was the only stumping I made off Chandra in a Test. On the other hand, almost half my Test stumpings were off Bedi. At Lord's in 1967, Tom Graveney was batting fluently, well over a hundred, and hit Bishan for successive boundaries. We resisted the urge to place a short cover. The third ball of an over, Graveney went for a third drive, but this time the ball turned enough to beat him. Bishan had flighted it more and held it back. Flighting the ball takes huge heart, a huge amount of confidence - and Bishan had plenty of both. He had the best possible action for a slow left-armer. He also had a beautiful armer for which he gripped the ball like a seam bowler would, with fingers along the stitching. I had the privilege of keeping to the great Vinoo Mankad at the Cricket Club of India when I was young; and later to the likes of Salim Durani. Another great left-arm spinner was England's Derek Underwood; on a turning and drying pitch there was no one more lethal than "Deadly". What Bishan had over everyone else was that he was not afraid to be hit. He bought his wickets. Chalo, maaro, maaro (hit me) - but I will get you in the end. The fact that India's slow bowlers were their match-winners is well known, but Chandra and Bishan were the dominant pair. I am told that they took exactly the same number of wickets in Tests they played together: 184 each. When they bowled in tandem, it was with contrasting styles but with the same intention: create uncertainty in the batsman's mind. It was wonderful. A quartet drawn from Marshall, Garner, Holding, Roberts, Clarke and Croft could put fear into anyone. Marshall, the greatest, formed an incredible pair with Garner or Holding, as Roberts did with Garner or Holding. But if pushed, I'm going for Marshall and Holding; and there's virtually nothing between them and the great Wasim and Waqar. Maco was 5' 9", so in theory he had no bounce to call upon, yet somehow he had it all. Mikey moved like the wind and sent it down like lightning. Maco became revered for his intelligence, stamina, his humour, and his strike rate of 46.7 balls per wicket - a cut above anybody in the 1980s. Mikey, gliding in gracefully off 40 yards, destroyed many a nervous batsman with just his run-up. Together they were an irresistible force, different in style yet similar in method. I first felt the Maco-Mikey sting in 1985. I had played 19 Tests without much to show, and in the cauldrons of the Caribbean, life wasn't about to get easier. In the first Test in Port-of-Spain, Mikey accounted for me easily in the first dig, Maco in the second. On a flatter Georgetown pitch in the second Test, I was whacked in the side of the head early on by Mikey. That woke me up. I began to move swiftly and avoided further damage, batting through on a featherbed. Maco, at one point frustrated with Ian Smith and our long partnership, yelled, "Wait until I get you in Barbados!" When we got to Barbados he was waiting. He put Smith in hospital with a near-broken arm and dealt with the rest of us along the way. When I walked out to bat, the score was 1 for 2, 11 balls into the match. Soon to become 1 for 3 in 13. Coming in, my brother Jeff scored a single off his first ball from Maco. I then faced Marshall for a protracted period, receiving four balls in my half. At the other end, Jeff somehow survived Garner and received none at all in his half, registering what was then, at 91 minutes, close to the record for the longest period without scoring a run. When Maco took his sweater to signal a break, Mikey marked out his run next to the sightscreen. He settled in with a few subtle outswingers, some cutters, the odd bouncer. Then a slower ball, a wide-of-the-crease rib-tickler and so on. After three overs, Jeff advised me I was within inches of hitting the wicket with my back leg as I played a short ball down to gully. Forward and back, forward and back. No runs, no respite, and worst of all, the heart rate climbing. Then another fierce kicker. As I played it mid-air, my back foot took out off stump - hit-wicket for 14. I hadn't done much wrong. Mikey had disorientated my footwork and created havoc with my pulse. It was a wonderful spell, so subtle in style and yet so brutal in its method. Maco, then Mikey. It was the worst kind of hell and the best calibre of bowling I ever encountered. West Indies won that match comfortably and Maco delivered on his promise - 11 wickets, the best return of his career till then. Then came the cry, "Wait until I get you in Jamaica." They were chalk and cheese. One was tall, angular, whippy, left-arm, with a high action and a short silent pitter-patter run. The other was shorter in stature, right-arm, low, slingy, muscular action and a long, straight, pounding gallop of a run. Both were rapid, frighteningly so at times, and masters of reverse swing. They didn't even like each other very much. Yet their names were synonymous, forever linked together in the pantheon of fast-bowling giants. And they were universally recognised by their first names, or shorter yet, Waz and Waqar, in a manner that maybe only Curtly and Courtney have been. The statistics tell a story, as they tend to do, although as we will see, not necessarily the whole tale. Other bowlers playing together have produced more Test match wickets than the 559 they managed from 109 innings. Shane Warne and Glenn McGrath, for instance took 1001 wickets in their Tests together, Muttiah Muralitharan and Chaminda Vaas 895, and Walsh and Ambrose (strange how the order is reversed when using surnames) 762. But Wasim and Waqar opened the bowling together in 56 matches and took, at 22.39 apiece, 476 wickets: 64 more than any other pairing. These were not just rapid bowlers. They swung the new ball as well as any have done at that pace. Wasim, arguably - no, inarguably - the finest left-arm pace bowler of them all, could swing it either way, mesmerically and waspishly. Waqar hit the bat with jarring energy. Here, though, the statistics only tell a part of the story, for it was when the ball became old and ragged, particularly in their familiar subcontinent surroundings, that they were supreme. Reverse swing was developed in that part of the world as an antidote to the dry, slow, dusty pitches that emasculated fast bowlers. They embraced the opportunity and made a virtue from the conditions: with reverse swing and a full length the pitch was removed from the equation. It would be naïve to suggest that there were no nefarious activities while conditioning the ball so that it was receptive to reverse swing. Pakistan bowlers were masters, but once the genie was out of the bottle, certainly not unique. Having the tools and being able to use them are two different things. Offer any bowler the ball with which the pair bowled and none would be able to produce such devastation. On a roll, Waqar, sprinting in, was a thrilling sight, often an inevitability about the outcome, as another batsman, knowing full well what was coming but powerless to respond, found his toes crushed or his leg stump plucked from the ground by a yorker that had spent in a straight line all but the last few yards, when it dipped sharply in. Waqar, at such times, was brutal. Wasim was simply a magician. He would switch to around the wicket, so that the angle to the right-hander was enhanced, and dip the ball still further in. Unlike Waqar, he could also send it the other way as a counterpoint. Once - and there is video evidence to show it, improbable as the feat might seem - he was seen to summon a delivery that first slanted into the batsman and then, in the last ten feet or so, straightened up in the air and deviated the other way. No one can legislate for that. I consider myself fortunate to have played Test cricket with Dennis Lillee and Jeff Thomson. For two and a half series, before Thomson busted his shoulder in a fielding collision, they were the most lethal bowling combination that I have ever seen. In 1974-75 their shellacking of England gave rise to the cartoon caption, "Ashes to ashes, dust to dust, if Thomson don't get ya, Lillee must." But when it comes to great combinations over the long haul, it is hard to go past Glenn McGrath and Shane Warne. Each was a great bowler in his own right; as a pair they were almost insurmountable. They may not have frightened batsmen as Lillee and Thomson did, but they were more potent. They were more water torture than trial by fire, and that worked. 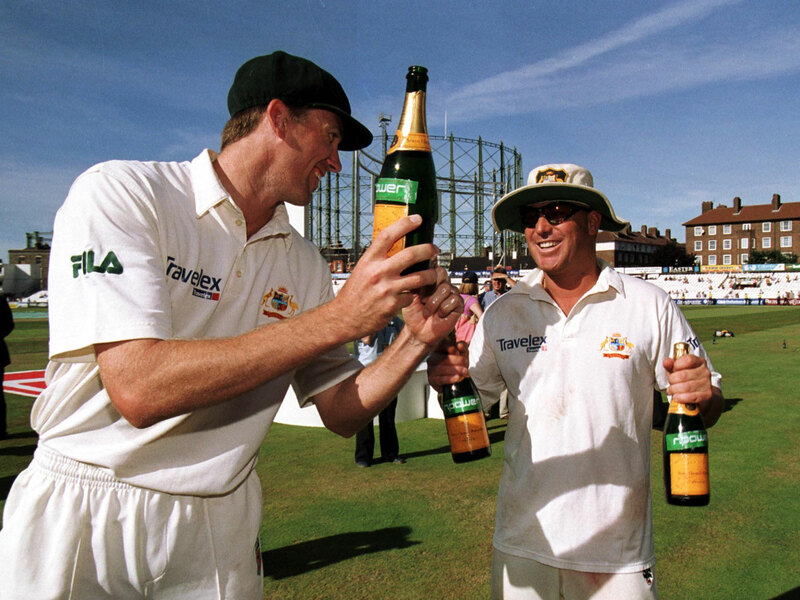 Over 15 years they played 104 Tests together and Australia won 70% of them. More remarkable was the fact that they took 60% of the top-order wickets in those matches. It took India's greatest batting line-up (Dravid, Tendulkar, Laxman and Ganguly) to subdue them in 2001, and injuries to McGrath for a motivated England to claim the Ashes in 2005. McGrath was taller than Lillee or Thomson, but he did not have their blistering pace. What he did have was the ability to bowl long spells, nagging away on a probing length around off stump. He demanded skill and patience from batsmen. If he wasn't getting them out, he was strangling their fluency. Eventually, even the most resilient lost. With his height, he was difficult on lively wickets or those with variable pace and bounce. This made him as effective in the second innings as the first. He was the tourniquet for the bowler at the other end to strike. Enter Shane Warne. This was a strike bowler without peer. Warne was just as likely to get wickets with a new ball in the first innings as he was on a wearing last-innings pitch. Like McGrath, if he wasn't taking wickets, he was bowling long, probing spells. Part of their greatness was their willingness to play foil for each other when conditions or situations warranted. Everyone remembers Warne's "ball of the century", but he could as regularly dismiss batsmen with straighter deliveries. Daryll Cullinan was so bewitched by Warne and his flipper that he, a fine player, was reduced to batting like a novice. He was referring to Wilfred Rhodes, but Neville Cardus could have been describing McGrath and Warne in unison when he wrote: "Flight was his secret, flight and the curving line, now higher, now lower, tempting, inimical; every ball like every other ball, yet somehow unlike; each over in collusion with the others, part of a plot. Every ball a decoy, a spy sent out to get the lie of the land; some balls simple, some complex, some easy, some difficult; and one of them - ah which? - the master ball." They were the yin and yang of bowling. Was Barnes the greatest bowler of all time?